Selling a Business? The top three reasons many businesses don't sell. Why Doesn’t My Business Sell? If you’re selling a business, you should know that multiple studies and surveys show that many small and mid-size businesses don’t sell. Over the years we’ve had to deal with that phenomenon on multiple occasions. When that situation arises, the potential damage to our relationship with the client is significant. That’s why we are at pains at the beginning of our discussions with a client to advise them of what the most probable selling price is likely to be and that setting a listing price significantly higher than that will dramatically reduce the odds of realizing a sale. In fact, if the client wants to list the business for substantially more than we think it’s worth, we will turn down that listing engagement. We don’t want to spend our time and marketing money on the proverbial lost cause. But many sellers, sometimes even when represented by business brokers, don’t listen to such reasoning. There are many reasons that a business doesn’t sell (though almost all of them can be overcome by reducing the price). Among them are: the business is in a declining industry; the business’ reputation has been harmed by a specific event; the business has run afoul of a government agency (such as, in the United States, the EPA); the business is in a “fad” vertical; acrimony among multiple owners; geographic location of the business; discord among heirs following the death or disability of one of the owners; and many others. But today’s post is going to look at three specific reasons that a business doesn’t sell: price, poor records and the “liberation” of cash. We always do an in-depth valuation of every business we are tasked with selling; every one, no exceptions. We remind the owners that what they think their business is worth is of little interest to buyers. 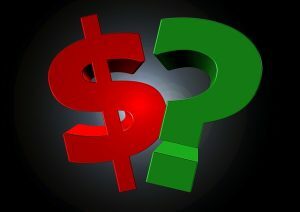 Buyers want to know how much money the business will return to them after all expenses are calculated. Whatever the resulting number is, that is what the buyers are buying. That is what they’ll pay for. How much they’ll pay – the value they arrive at – is primarily determined by the rate of return they expect on their investment; and that rate of return will be reflective of the amount of risk the buyer perceives that the business entails. By way of example, let’s use something simple: commercial real estate. Historically, buyers of commercial real estate have generally taken a thumb-nail approach when doing “back-of-the-envelope” calculations to determine the value of potential investments. They would look at the income, net of all expenses, and apply a rough rate of return of 10%. This rate would vary over the years based on interest rates, market conditions, what other competing investments (bonds, CDs, etc.) would return to them, the strength of the underlying leases generating that revenue and the perceived risk in the investment. All of these components – and more – would impact the buyer’s decision on how they would adjust their required rate of return but by using the quick thumb-nail approach of 10%, we can see that a commercial property generating $100,000 to the owner net of all expenses would be worth $1 million; 10% of $1 million is $100,000. Business buyers use very similar analyses when considering the acquisition of a business. But one of the most significant differences in business acquisition is that the asset being acquired – a business – is almost always more risky than commercial real estate and generally requires more “hands on” management. Both of these conditions increase the buyers’ required rate of return. We rarely see rates of return lower than 20% and generally we find them in the 25%-35% range; occasionally even higher. If you’re a business owner and you want to sell your business, you have to recognize what buyers will be looking for a specific return and establish a value for your business accordingly. Any buyer will want to examine the business’s books and records. If you were considering buying a business, wouldn’t you? During the due diligence period, buyers will comb through tax returns, profit and loss statements, inventory reports, supply and sales contracts, employment records and everything else except last week’s grocery list in an attempt to verify the numbers provided by the seller. If the books and records are not clear and the answers provided by the sellers are not concise, the buyers will walk. If the sellers cannot answer the buyers’ questions quickly, easily and transparently, doubt will start to grow in the minds of the buyers. The longer that doubt festers and the more the sellers seem unable to dispel the buyers’ doubts, the greater the chance of a deal falling apart. Doubt about the books begins to suggest to buyers that everything else they are hearing from the seller is questionable. Once this happens, it’s almost impossible to regain the confidence of the buyer. In our experience, the books of most small businesses are a mess and this varies only by degree. The owners of small businesses are generally passionate about what they do but bookkeeping is almost never something they are passionate about. They are also accustomed to wearing all the hats and prioritize the easy or more pleasant tasks which end up at the top of the “to do” list. Bookkeeping usually gets short shrift. But the condition of the books is paramount. Confusing, inaccurate or incomplete books will kill any chance of getting your business sold. This is why we strongly urge every business owner to plan for the sale of their business at least three years before they expect to step away. Among other benefits of such planning is that it will give you enough time to get the books straightened out. Do it. Lower Revenue Numbers. Obviously, any cash that the seller is taking out is not showing up in either the profit and loss statements or the tax returns. No matter how hard you try to convince the buyer that this revenue is real, any buyer with a three-digit IQ will consider this “phantom” revenue and not consider it. After all, you might as well have said $500,000 as $50,000; neither number can be proven and neither will be believed. Skewed Operating Expense. The expense items in all industries fall within a certain range as a percentage of revenue. 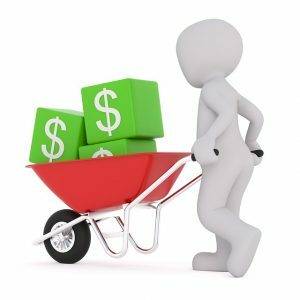 If a business shows sales revenue of $1 million and the owners were taking $90,000 out in cash, the expenses – cost of goods and payroll, for example – are almost certainly going to reflect the cost of operating a $1.1 million business rather than a $1 million business which is what the numbers for this business would show. When buyers study the books, they will come away with the impression that, given the level of sales being shown, the expenses for this business are too high and that, ergo, the business is being run poorly. For more detail on this aspect of operating a business and preparing for its sale, check out this podcast on the subject. These are just three of potentially dozens of reasons that businesses don’t sell but they are arguably the most impactful. We’ll discuss others in future posts and podcasts but these three are where a seller should devote his or her attention once they decide that it’s getting close to the time to sell. To help you along with the preparation process, we’ve put together a guide to developing an exit strategy and you can get yours free by letting me know in this box. I’m also available to help anyone that wants to get their business ready for sale. Scroll down to the “Comments” box and let me know how I can do that. Finally, if you’re considering selling your business, what is the biggest issue or most important question that you’re dealing with? What concerns you the most? We’ve got a bunch of smart people here and we’d love to help. Let me know in the Comments box. If you leave your email, I’ll respond directly. If you don’t, perhaps a blog post or podcast will be a good place to answer it. So, let me know! If you’d prefer to reach me directly, you can do so at joe@WorldwideBusinessBlog.com. If you have any questions, comments or feedback, I want to hear from you. Put them in the Comments box. I’ll get back to you with answers or my own comments. If I get enough on one topic, I’ll address them in a future post or podcast.